Welcome to Refugee Friday! Today is the FOURTH installment of Refugee Friday. Every Friday through the end of the year, we're partnering with Preemptive Love to share the stories of refugee survivors across Syria and Iraq. Along with giving these survivors a voice to share their story, 50% of orders placed on Refugee Friday will go to Preemptive Love to contribute to aid and relief efforts, but ultimately, to restoring dignity after desolation. The Preemptive Love team first met Sabeha and her family at an Easter party thrown by a local church, for children who were displaced and victimized by ISIS. The party was held for kids from a variety of backgrounds and faiths. But they all had something in common: violence, displacement, grief, and the need to deal with the loss of their earlier lives. Preemptive love learned about Mohammed, Sabeha's son, who was bound to a wheelchair. With help through donations, Preemptive love was able to provide Mohammed with six months of medication and physical therapy for the next few years. Mohammad’s father spent hours with his son’s therapist, learning how to provide Mohammad’s physical therapy, himself. 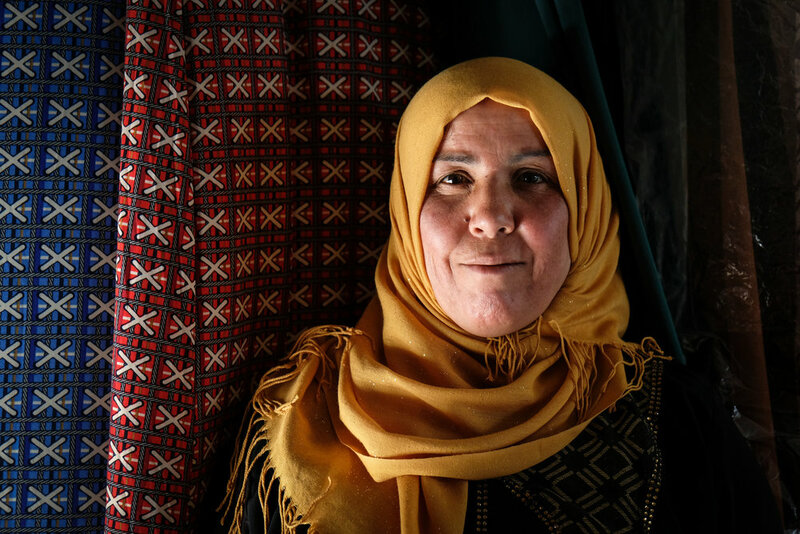 Sabeha's village near Fallujah was then liberated from ISIS, but to return home, her family needed a support system. Preemptive Love provided Sabeha with a business grant to open a shop in their home village, which gave them the means to move back home. Sabeha's sign over her store in Iraq reads: "The Blessing Shop: Clothes for Women and Children, Purses, Perfumes, Cosmetics, Shoes." Sabeha unpacks her first stock for her store, October 2017. Photo by Bilal Anbar. Sabeth rented the only available storefront in the city and opened the city's first shop for women and children. 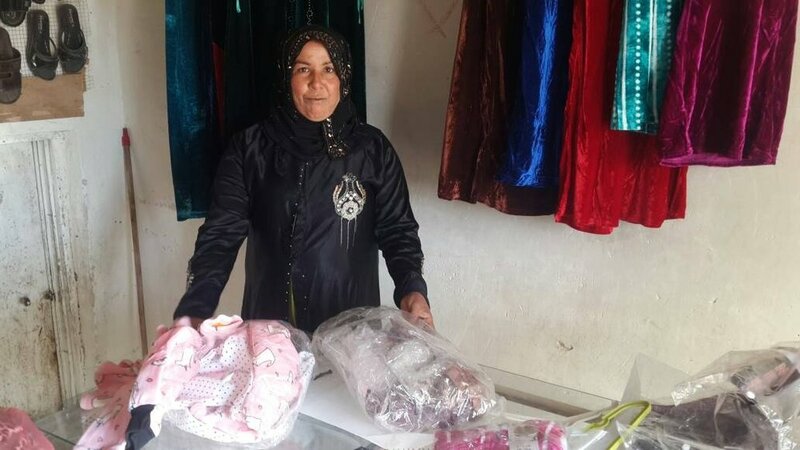 She stocked her shelves with warm clothes for her neighbors, dresses, cosmetics and any other items the women in her community were in need of. She serves her customers well, continuing to bring in new stock as the seasons change and as items are needed. Today, her shop has become a fixture in the community. And guess what, Mohammed has started to WALK to his mother's shop. It’s not necessarily easy to be back home. Sabeha, Mohammad, and their family face many of the struggles that Iraqis in rural, post-war communities face: slow government response, little electricity and water. But as we’ve heard from so many families, they are eager to trade the hardships of being displaced for the hardships of living in a community that is rebuilding. One thing that can be consistently said about Preemptive Love is they invest in relationships, design for flexibility, see whole families, and partner with them right where they are, giving families the tools they need to be well and to rebuild their lives. This Friday your purchase will allow small business owners like Sabeha to reclaim their communities and families from the ashes of war.